The amount of interest in the nature of nonhuman animal (animal) minds and what's in them seems to grow daily. In keeping with this burgeoning interest, today was a very good day for writing about two very important and timely new publications focusing on the fascinating cognitive and emotional lives of other animals. The first is a book by City University of New York developmental psychologist William Crain called The Emotional Lives of Animals & Children: Insights from a Farm Sanctuary, and the second is a special issue of Time magazine called The Animal Mind: What they're thinking and feeling, and how to understand them written by Jeffrey Kluger. Dr. Crain's short, up-to-date, easy-to-read, well-researched, and well-written book is a gem. In the first part called "Emotions in Animals and Children" chapter titles include Fear, Play, Freedom, Care, and Resilience. 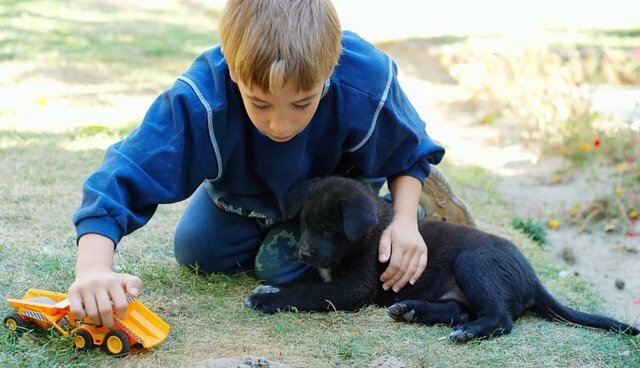 In the second part titled "Children, Animals, and Society" chapter titles include Children's Sense of Closeness to Animals, Becoming Detached, and Going Forward. As a developmental psychologist and co-founder with his pediatrician wife, Ellen, of Safe Haven Farm Sanctuary in Poughquag, New York, Dr. Crain brings a unique perspective to the study of animal and human emotions. I was continually fascinated by how his observations of the wide array of emotions displayed by the rescued animals informed his view of the emotional lives of young children. In his book, Dr. Crain "honors the work of John Bowlby a psychoanalyst who began his major writings in the 1950s. Bowlby drew on biologists' observations of animals to provide a compelling account of children's attachment to their caretakers." Dr. Crain notes, "Today, the study of attachment is extremely popular" but "one would hardly know that the initial inspiration came from observations of non-human animals." Moreover, according to Dr. Crain, "there has been little effort to extend Bowlby's work -- to see how the study of animals illuminates other aspects of child development." Dr. Crain also writes, "The reluctance to follow Bowlby's lead reflects the Western worldview that considers humans as different from and superior to other species. To think about children in the same category as animals seems to demean children." However, as Dr. Crain stresses in his book, the behavior of the farm animals is incredibly useful for understanding the behavior of human children. Dr. Crain also writes about how children show a strong tendency not to see themselves apart from other animals and display "instinctive empathy" toward them. However, youngsters are taught to detach themselves from other animals. I make a similar argument in my forthcoming book Rewilding our hearts: Building pathways of compassion and coexistence, and argue that youngsters become "unwilded" through standard educational systems and that we need to rewild education and get kids outside far more than they are now. I came away with a new appreciation of human childhood and I highly recommend Dr. Crain's inspiring book to a broad audience. Indeed, we can learn valuable lessons from other animals about friendship, respect, empathy, trust, compassion, and love, and also learn valuable lessons about youngsters, future ambassadors for animals and nature in general. Children need to be taught well and I hope teachers will take the time to read The Emotional Lives of Animals & Children: Insights from a Farm Sanctuary. The special issue of Time magazine also is an easy read and is well-illustrated, and covers a wide spectrum of current research on animal cognition and animal emotions. I'm thrilled that the general public will be exposed to what we know about animal minds and their rich and deep emotional lives. Section titles include "Animals have brains, but do they have minds? ", The power of the pack: life in animal society", "Animal Architecture", "Animals aren't supposed to feel grief. But if this isn't mourning, what is it? ", "Mental illness is not just for humans," "Do unto others: What rights do animals have? ", and "People love dogs and hate rats: what that says about them -- and us". I can't imagine a better deal than buying Dr. Crain's insightful book and the special issue of Time and catching up on the fascinating lives of the animals with whom we share our magnificent planet. Both are very well done and should appeal to a wide audience of all ages.